Richard came to Kansas City in 1999 to attend Midwestern Baptist Theological Seminary. In 2000-2002, he worked as a collegiate minister for Clay-Platte Baptist Association. Richard and Vicki Casebolt met and married while studying at Midwestern Seminary in the MDIV program. After receiving their MDIV degrees, the Casebolts left for Thailand in early 2005 where they served in collegiate ministry, discipleship and church planting in central, southern, and northeastern Thailand. After returning to Kansas City in January 2011, Richard transitioned into a grass-roots role of missionary to the nations dispersed throughout the Kansas City Metro Area. The vision of Refuge developed while he was working with Eleos Coffee House and Ministries in the Northeast Kansas City neighborhoods along Independence Avenue. With much help from mentors like Dan Smith (Eleos), Richard and Vicki founded the work of Refuge KC, Inc. in 2016, a 501(c)(3) non-profit headquartered at Eleos Coffee House. 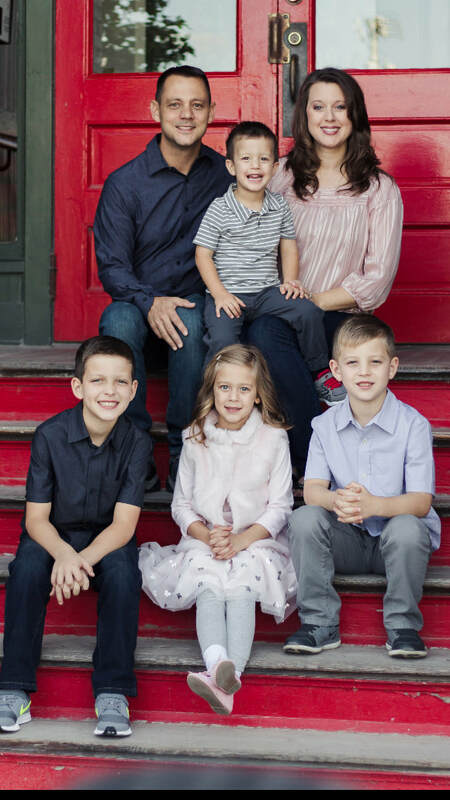 ​Richard and Vicki celebrate 14 years of marriage in 2017 and have four children: Caleb, Kenan, Chloe and Christian. Vicki is a full-time wife, mom and super-talented principal and teacher at the Casebolt Good Shepherd Homeschooling Academy.